Yo ho ho! 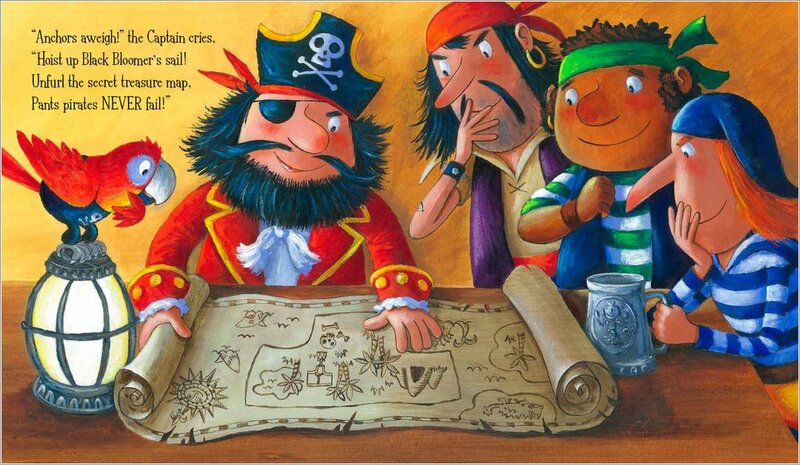 Claire Freedman’s naughty pirates are here to delight all you little gigglers. Why should cheeky aliens have all the fun? These potty pirates also want your pants. But boring cotton knickers are a no-no. 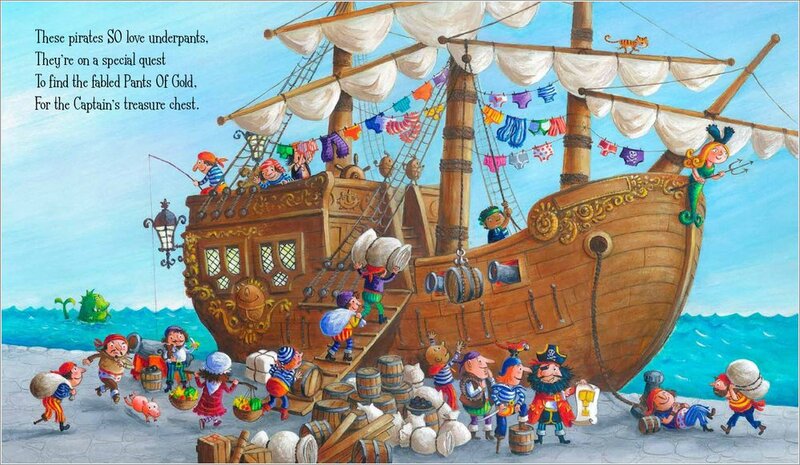 Being pirates, they want pants made of GOLD! Grab your cutlass and join their silly treasure hunt. Funny rhymes, angry crocodiles, gurgling swamps… and BIG PANTS, of course! 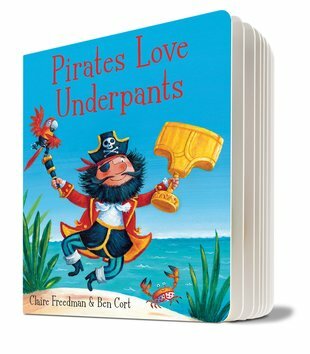 Great for little ones who love pirates – and pants! Yo-ho-ho! Swashbuckling fun and games with our free Pirates Love Underpants activity pack.